The thought first came to me when The Big Issue was proudly celebrating their achievements at their 25th anniversary. They are justified to look back on all that they have attained in supporting homeless people into jobs and homes since 1991. I worked with TBI before it launched for a couple of months so perhaps that’s why I noticed this one, as every charity celebrates their anniversary just like businesses do. And that’s where the problem lies. A business is celebrating success in longevity, a charity should not. Most likely, the founder (backed by the Roddicks who launched the Body Shop) didn’t want TBI to be around in 2019 and yet there are 1450 Big Issue sellers around today. I’m looking at one out of the window right now. They earn themselves £5.5m a year, so while it as an excellent job creator and makes TBI one of the better organisations helping the homeless, it does not eradicate the problem. It seems to me the more charities there are, including those with the luxury of government funding, the less those who govern us take responsibility to support the vulnerable. What about thinking about charities as the short term fix for something the government is unable to currently provide? If a need is discovered such as the heightened awareness of mental health issues in recent years being much more common than was previously thought, then things need to change and facilities need to be put in place. After all, everyone pays taxes so that the whole of society has their basic needs met as necessary and rather than being at the mercy of hit and miss services. Take the example of the loneliness endured by our growing ageing population. The resources may take one year or maybe ten years in the making, but it needs to happen. Although frankly, we have known we were going to have an ageing population for some time so this should have been in place. In any case, if society needs something from us we need to deliver it in a consistent, compassionate way, you know like we actually care about people. When you think about it, there’s almost a ready-made workforce and infrastructure in place within the charities. We need to do take responsibility and bring it in-house so the burden is taken away from the overworked CEOs and staff have support and guaranteed funding. Virtually every charity is about improving our well-being anyway, whether it’s nursing people and their families through cancer, breaking away from domestic violence or training support dogs, it should all be under our National Health Service. Apart from consistency in care and removing the immense pressure from charities, there are a number of other reasons the work of charities should be managed by those who are (supposedly) looking after us, such as money being saved through lack of duplication by removing 100s of separate infrastructures. Plus there is less confusion when someone is looking for support as there’s only one website for anyone who needs support that will direct them to the right service. I like to think all the cancer charities share information anyway so imagine how simple this will be when for example, all the brilliant brains working on eradicating breast cancer were all under the same organisation, sharing costs and ideas? People will just need to turn to one place for support, information and education. While we’re at it, our pets that play such a part in our well-being should have the same service. NAHS: National Animal Health Service. Imagine how many more homes/places of work would have dogs who are so good for our well-being if they knew their taxes covered the welfare? This month, Kate Gordon and I held our event, Strictly Trustees, designed to learn if trustees are able to access the support and training they need to serve their organisations well. We were also more than a little curious, especially given my own sometimes underwhelming experience as a trustee. Thank you for all those who turned up in central Birmingham on a Saturday morning with their own drinks and to John Lewis Birmingham for the loan of their community room. What did people wish they knew when they started? Generally, more knowledge and info about the organisation, their business problems and where to focus first. 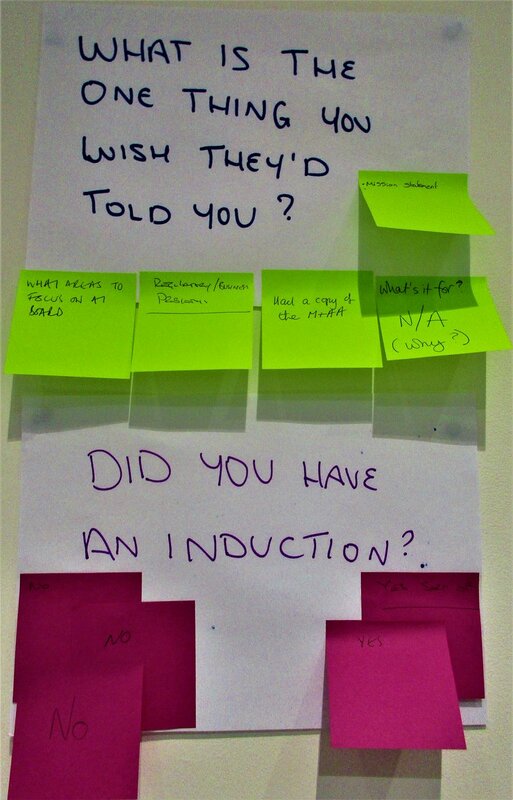 Did you have an induction when you started your trustee role? It's rare/unheard off to have had any sort of induction training on embarking on a trustee role. We decided on an un-conference style and these are some of the potential topics that came up for discussion; networking, CEO appraisals, funding models, time taken for action, safeguarding, term times, recruitment & diversity, which contracts are covering what costs (how do we obtain info we need from operations for informed decision making), reading the accounts, how to know which questions to ask, good governance, roles & responsibilities, skill levels. When volunteers become trustees (i.e. a trustee as a glorified volunteer). Having efficient meetings where discussions lead to good decisions and progress is made during them. Quite often trustees are frustrated in having to wait for another meeting for progress when decisions can be easily made via email. Quality of information available for informed decision making. Trustees need good quality of information available for informed decision making and to be a critical friend to the CEO. How to recruit and induct new trustees. Some potential recruits may be volunteers rather than trustees. We need more diversity on boards, including younger people, which means recruiting from outside networks. 'Positive action rather than positive discrimination' (although there is a concern as having targets may mean missing on on good skilled people). Use of social media. 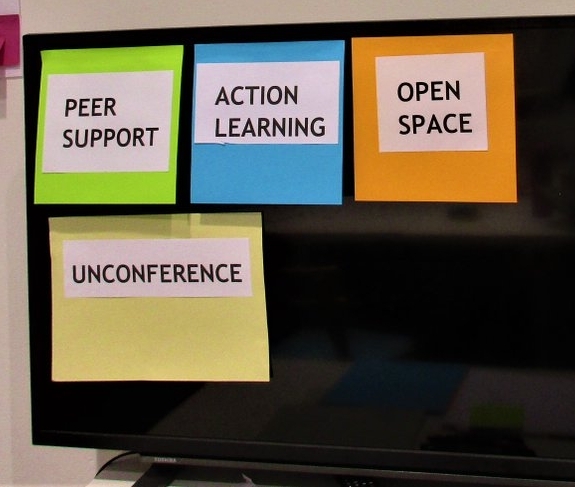 Overall, trustees need more from the Charity Commission; more training (E-Learning or workshops around the country), more support and more guidance. 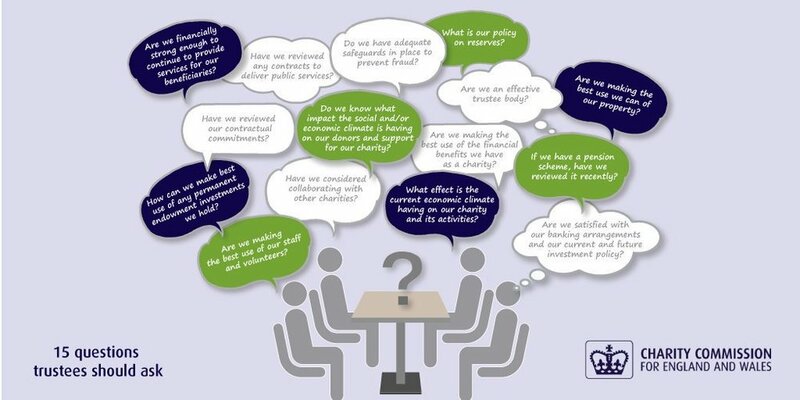 Trustees don’t always know what to ask, especially in finance matters. Interestingly, the CC have posted excellent ‘questions to ask about finance’ (see image) although it links to a long, uninspiring article on their website. We ended with the need to keep trustees connected, but how? I think many of us felt a little sorry when Gerald Ratner made that speech that lead to his eventual exit from his own father’s jewellery company. Especially when, as transpired, he’d said the same ‘crap’ joke at many speeches before. But this time, for whatever reason, the press went crazy and it cost him is very well paid job. One of the reasons I picked this book up, which was recommended on a business list, was to find out why why losing his job caused him to lose his fortune too. You’d think he’d know enough about money to ensure invested well for all eventualties. Turns out his London property was owned by his company, his own house was mortgaged to the hilt just as the property crash happened and the shares of his company went down due to his comment leading to dive in sales, but he had to sell to stay afloat. Running Ratners is all he ever thought he would do. He does, however, know how to build a business. He wanted to make his beloved father’s company the largest jeweller in the world and he almost did that. Most certainly the way I remember it, the four jewellery brands under Ratner did equate them to be the largest jewellery retailer in the UK and they’d already expanded into the US by buying up chains there. It was interesting to get an idea of his background to learn what drove Ratner Junior to be in awe of his Dad and wanting to take over the business in the first section, The Rise. There were some lows, notably his sisters suicide. This came after the parents insistence that her boyfriend converted to Judaism before they could get married. He was fine with it, but then the rabbi still refused him and eventually couldn’t take the pressure and broke off the engagement. But in the main, this book means business. For jewellery, it’s all about the window. Did you know that all diamond rings are 42″ from the ground to be at eye level of average height woman 5’4″. I’ve since checked – it’s true! Also it was important for Ratners to keep the same stock for a long time to aid people saving for engagement rings. They also had the exact same window displays in all shops to force items to become best sellers; people buy what they see often. The world changed in the 80s though with the rising popularity of credit cards and even more since with the want-it-now generation. Fun fact: my home town of Bedford had the pleasure of being the 5th Ratners shop. One of the business lows was losing their buyer Terry, who has been given a lot of credit for Ratner’s success. Alarmingly, he’d managed to set up his own retail business while still at Ratners! Of course he had to leave and eventually his small chain of Terry’s stores was bought by Ratners and he was persuaded to come back as part of the deal. Of course by this time, he’d built his fortune and didn’t necessarily need the salary, although there was a tricky divorce taking place. At this time, Ratners considered the Terry’s model to be the best and they too became a cheap jeweller rather than the stiff one that Gerald’s father and uncle had originally created. They also bought H Samuels and eventually American chain Sterlings. This is when Ratner discovered that firstly, Americans liked boutique brands so large retailers have stores under different names that locals respond to. Secondly Americans pay their employees far more – their president got paid more than him! I’ve always felt Americans regard their retail employees much more seriously than the UK do, where working in stores is seen as a low-level stop-gap. Although that speech proved disastrous, we learn some of other times when Ratner used the press to work in his favour, like when he spread the rumour that Ratners should be the ones to save another family jewellery chain who were in danger of going under. I don’t recall Next – then still run by George Davis – starting a jewellery arm though. It didn’t work because they tried to make it upmarket and Next customers were expecting costume jewellery, as the author explains. For all his rise and fall and rise again, Ratner does seem big headed even when talking about restarting his online jewellery business in the Noughties. He talks about the time of not needing offices or staff and so bragging about how many shops/staff you manage being a measure of success, became invalid. Several times he states he was Britain’s biggest online jeweller. I’m all for ambition & yes it’s true, but give it a rest. It’s in the same category as people who feel the need to put they have an OBE on their social media profiles. Ratner is still rather unlikeable even with the help of a ghost writer. His business theory seems solid but I can’t really feel sorry for someone who was worth £12m but too arrogant to look after his personal wealth & downgraded spectacularly after the press got wind of his crap jokes. Just because your name is on the door, does not mean you are sheltered from catastrophe. To complete the stereotype, after the breakdown of his first marriage, he hired a new PA and then married her. However, for a business story, this book is thoroughly enthralling. How do we become the best that we can be, as individuals, as teams and as organisations? I’d be quite happy with more columnists putting out books like this because I can’t see myself buying a newspaper again. Not all columns will stand the test of time but if they’re carefully selected like these, they mostly will. You may have noticed, I place a large amount of belief in the correlation between sport and business and have read all previous Matthew Syed books as well as many sports biographies. Syed’s theory is that the best in the world are that because they practice more and well. As someone who believes that just about anyone can learn anything, the term natural talent is a bit redundant. So when England’s coaches previously said there players can never play like Brazil because they aren’t born with the same skills, it was a big excuse. They should be learning from the best. It’s all in the training techniques and how much they practice which in turn helps their attitude to be that of the winning team – positive. As we have found with the enormous improvement in England’s team in WC2018, as well as others knocking out the giants Brazil, Argentina, Spain and Germany. England finally caught the virus. Treated like infants, players become infantilised. Often our way of ‘coaching’ football is shouting at players rather than treating them like adults. What other work situation will an employee put up with being shouted at in front of their peers if they make a mistake? Hopefully none. How do people learn by being fearful? Some do but most don’t, which is why we have had some individual sparks rather than a solid, bonded international England football team. There are more case studies in The Greatest to prove how tweaking training is the difference between first and second. A 10th of 1 second for swimmer Adrian Moorhouse and a blink of an eye for runner Linford Christie. But there’s also the competition that spurs winners. Would Nadal have won without chasing Federer or Djokovic without Nadal? Teams have hired scientists, dieticians, doctors and even faith healers to find that 1/10th improvement that’s the difference between winning and being the runner-up. ‘It’s no good writing your values down. You have to alter the way in which people actually behave’ – Dave Braislford – Team Sky. Team sky look at the smallest of margins, from vacuuming riders rooms to cut down on infection and using dehumidifiers to air con and filters. They ‘developed a hunger index’ for their players and tracked it closely. On penalties: the advice is think less, do more. Try less hard, relax more. Switch of the conscious mind. Why are international players not as good than when playing for their country than their club? Messi is cited as an example as was proven during the World Cup and Argentina’s early exit. Obviously it’s because they don’t have their teammates with them but could the opposite be true too? Can players perform better when they are surrounded by the best in the world than when playing domestic football? We need do more about the motivation of why most footballers refuse to dive and play act – as was so evident in this world cup which still gave me one of the best world cups I’ve seen. In the same way most bankers refuse to take risks and most cyclists refuse to dope. There’s an excellent page about hooliganism. In the same way that people put up with litter, followed by broken windows and before they know it crime starts seeping in the neighbourhood it is deemed a no-go area. So, people put up with a bit of racism and a bit of sexism and offensive charting at just about every football ground across the country put down football hooliganism as part of the game. It’s not. Just like it's not acceptable in the workplace. It's unlikely you will finish the book with a warm fuzzy feeling, despite all of it’s excellence, but it's pretty likely you will pick up some very small but powerful ways to improve your producitiivty. Build awareness of your business before you launch, ideally, three months before. Start telling people and build your social media profiles. Have a soft launch and receive some valuable feedback, especially if you are starting a consumer business. If your market is business, ask people you know to try it out for you. This will enable you to build some case studies and much valued testimonials. Work out who your customer and how to find them. Build a customer base by developing a mailing list. You can even announce the launch with a countdown to opening day, another great way to build awareness. Get your pricing right before you launch by getting feedback, seeing what the competition charge and checking all this against what will make your business sustainable. Plan a launch party! Invite friends, influencers, bloggers and press. A social enterprise is a business where the profits are used for good rather than divided with the shareholders. 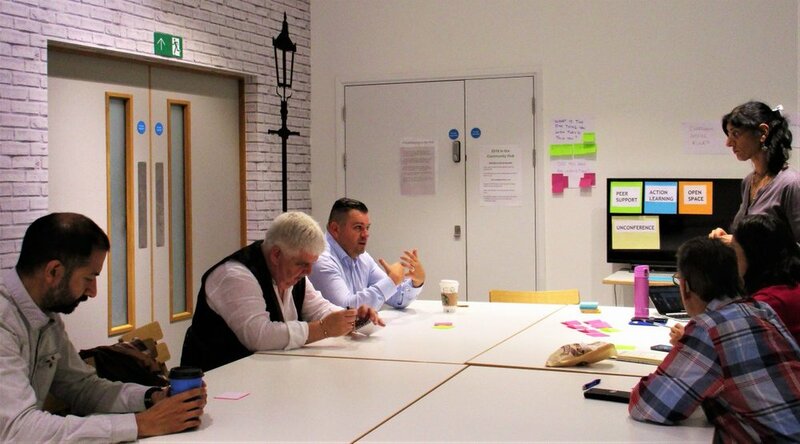 By its own definition, Social Enterprise UK (the national voice for social enterprise) defines a Social Enterprise as one that gains at least 50% of their revenue from trading. Its essence is closer to a business than a charity. Again a charity is more often reliant on volunteers but a Social Enterprise is business like any other, that simply reinvests (at least 50%) of its profits to further its social impact. Like any organisation, it can hire volunteers too. The CIC legal structure is designed to ensure profits are re-invested but any business can make a profit and then give it to a cause. A sole trader or limited company can just as easily invest 50% of its profits for the good of the community. Where it helps to be a CIC is quite often when applying for grants as funders most often would expect the assurance of an appropriate legal structure before giving out the cash. Funding to undertake specific work that either helps the community or to preserve the environment most often works in the same way. Just like any other enterprise, staff will be paid from the revenues received and salaries are part of the expenditure. Because, generally, most people need a salary to pay their bills. Being a social enterprise is a strategy rather than a structure. I’ve been using the 1-3-5 method for several years as a way of focussing on the task in hand on a daily basis. It comes up in client sessions so much, it’s worthy of a permanent place here. This technique is simply to reduce the daily to-do list to just 9 tasks. The size of each task will vary depending simply on how many hours you have in your particular day and the order is up to you. The 1-3-5 gurantees that every day, you've accomplished 9 things. Credit to The Muse who originally bought this to my attention. As you probably know, I decided long ago to live a stress-free life. For Stress Awareness Month, the people at Intuit are sharing top productivity tips to help small business owners. Here are my personal tips to help you achieve a stress-free life. I wish someone had told me this 12 years ago! Whether it’s a walk outside or putting the washing in the machine (for all of the homeworkers), a few minutes away from your screen works wonders. It’s amazing how the perfect sentence of that tricky email pops into your head when you come back to your laptop. Try to complete it before 9am or whatever time your industry sector starts their day. 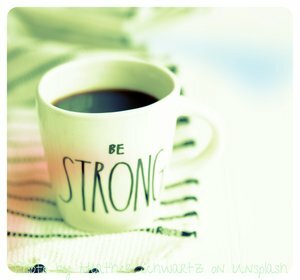 This way, you can enjoy the whole day ahead having already achieved your best accomplishment. Also, you may well do the less desirable tasks faster so you can get onto the fun, creative ones. Break down any annual goals to monthly ones and then do at least one thing towards them every day. When time is short, this could be as brief as phone call or a quick email to get a conversation going. Each day undertake 5 small tasks, 3 medium and 1 large. How big these tasks are on any particular day will depend on how long your day is but each day, you’ve potentially achieved up to 9 tasks that take you nearer to reaching your monthly goals. To keep focus, schedule the tasks into time slots. When your time is up for that particular task, stop and move onto the next one, regardless of whether you finish it. I guarantee pretty soon you will start completing your tasks quicker. Or else, you’ll realise how some jobs take longer than you think and you’ll schedule future tasks accordingly. I started the list with a break and end it the same way. Working breaks are great for undertaking projects or just clearing the to-do list without the pressure of completing tasks for clients. You’ll come back refreshed and raring to go with a clear head. If you can’t spare the time for 2-3 days away from home, try a day trip to another city and visit a few different coffee shops to work in. A change of scene can be as good as a rest. Do you have control over your domain and can you use the name across the main social media platforms you are using? If someone has bought the domain for you (i.e. website builder) be sure you are the only person that has the log-in details that give you full control. This will mean even if you lose contact or they go out of business, your name and brand stays intact. Contact – including links to your social media platforms and also plenty of opportunities for people to contact you any which way. Case studies, testimonials and potentially a blog can be added later when you're ready. Be sure to be consistent, relevant and topical and include an image or a link with every post across your platforms. Engagement is more important than number of followers. Be sociable! If blogging, keep your posts consistent too with a low word count (less than 500) and plenty of images. More than just a logo, your brand is the first impression your business makes. It’s like walking into a room and coming across as knowledgeable, enthusiastic and helpful – before you say a word. So, before putting this out there, gain some insight into how people will perceive you by asking friends, colleagues, associates – even your social media following on what they think of your brand. Email is still king – it’s how your customers expect you to communicate with them. Always use your professional email address – the one with @yourbusinessname - and a compact signature that links to your social media, blog and website. If you have any questions about any of these, please drop me a line with your question here. We assume smart people are most likely to reach sound judgments (Blair/Bush/Iraq/Iraq) but (these) people won't admit to mistakes or indeed close a business/project that's no longer working. Coincidently, this is something I have just done after 3 years of working for free on community project. It worked well, but there are so many people doing something similar now, I am no longer needed. It was hard, and I should have done it a year ago. Talking of smart people, economists don't change their school (of thought) ever. But if they're not learning, how are they still experts? There’s the story of a surgeon who refuses to change gloves even when the patient had a latex allergy. What you remember seeing and what you actually see are two different things. i.e. you can believe it but that doesn't mean it's true. I’d recently come across America’s Innocence project which helps exonerate innocent people locked up and the work they’ve done features a few times in Black Box Thinking. As well as exonerating those that are wrongly imprisoned, they are campaigning for line-ups to be administered by an officer who doesn't know the suspect and for sequential line ups rather than all together. Also to film all the interrogations. I would have thought all of this was obvious in a fair society. How many people miss out because they want to make their product perfect before taking it to market? I’m off the mind-set that it’s better to (quietly) put your service out there and gain some feedback, then keep improving it. The author refers to this as MVP = minimum viable product. Moving back the prison service for a minute, Scared Straight is a programme in America designed to scare young people into going straight by spending a day in prison with convicts doing time for extremely violent crimes. A documentary aired in America ignored the data – which provided no proof it worked - but believed the stories i.e. parents saying their child was different when they returned from the trip. Well of course they would be, but how? If you ask a simple question in such a way, you’ll get the answer you want. Many people are convinced that that government figures are fudged to look good. I’m also of the belief that some not-for-profits* are often disguised as social enterprises do the same thing, by asking the simple question. How many people have you helped with your social business? Answer 50. That doesn’t necessarily mean 50 people have changed (not re-offended, settled into a job, stayed sober, been clean). That just means they say they have. People want to believe they hype that ALL not-for-profits/charities/social businesses are saints and believe the hype. I know many regular businesses that do much uncredited work for the community and causes. There were more Scared Straight documentaries that continued with the positive outcome theory. One person featured on that first programme offended soon after & got caught decades later when he was convicted of theft and DNA was collected. * What a term! An organisation needs to make profit in order to do good. (and added a row of seats, as I recall). Last one came up with 25% more ideas. Dyson, Dropbox, windup radio, ATM, collapsible buggy all dreamt up due to one person having a frustrating problem. Some people change the world, others are footnotes on the patent catalogue. James Dyson says when he goes to patent, someone else has always done it first, his has to be a little different. Cultures without the blame culture report more errors but make less of them. The tragic death of baby Peter Connelly who died in the hands of his mother, her partner and his brother resulted in a media witch hunt for Social Services, rather than the culprits. This bought about death threats to the head and her family. Worse, social workers were so scared of getting the blame again, those that stayed in the profession, removed more children from families, and there weren’t enough foster parents available to look after them. A huge knock-on effect of the media's reporting caused chaos where more care was needed. The first pilot in history to be put on trial committed suicide years after being found guilty despite doing everything he could in exceptional circumstances & saving the day by landing the BA flight in safety back in 1989. It could have gone terribly wrong, but it didn’t. He was only fined £2000 which leads us to think the judge didn’t think it should have gone to trial. Both of these two stories clearly ended with intelligent people bought into depression by the blame culture. Imagine what may have been? I never use the F-word so reading about so much of it has resulted in my being outside the proverbial comfort zone. I’ve always said I don’t want to fail in order to succeed, but in reality, of course I have done that many times. I’ve learnt from it, done things better but never uttered the F-word out loud. Interestingly, Japan and China are the least entrepreneurial due to failure being frowned upon in those countries. It’s taken as a sign you haven't got what it takes. At the opposite end of the scale, in the USA it is possibly celebrated. Henry Ford and the like have all talked about failures. David Beckham learnt from his mistake in the 1998 world cup. He was knocked down – had his hair pulled too, it turns out – but he knew like we all did, he shouldn’t have kicked back which resulted in a red card. But he went on to win the treble with his club next season. He says ‘what's life about other than learning from your mistakes?’. I loved Bounce so have been anticipating this with some excitement. 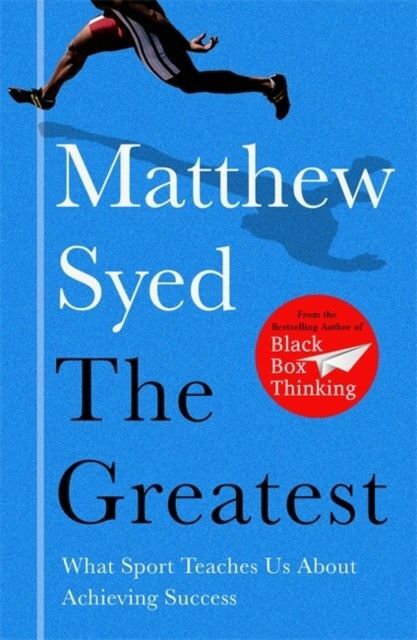 Matthew Syed undertakes all the research so we can just sit back and learn it all by reading his books. Bounce took the idea that just about anyone can be good at pretty much anything, it just takes practice. My take on Black Box Thinking puts out the idea that if more of us learnt from mistakes, the world would be a safer, better place. Having been to the authors promotional event at the local Waterstones, I was warned about the heart-breaking opening story about Elaine Bromiley, a healthy lady dying on the operating table during a routine operation. The author asks who in the audience was interested in sports, education or teaching? Whilst I have an interest in all three, my category – business – wasn’t mentioned. Being a fan-girl, I just turned up and bought the book on the day. There are always a few avid readers who go to these things armed with questions. I’m not one of those. This is how I learnt what this book was about and it is indeed entirely relevant to my world. A good summary of Black Box Thinking is that whereas in the aviation industry, they immediately look for evidence as to why the accident happened and how they can do better next time, saving untold lives, the medical profession, in the main fails to learn from it's mistakes. In an American study, a million people are said to be injured by hospital errors. 120,000 each year. A later 2013 study puts figure at 400,000. This is the equivalent of a 9/11 catastrophe happening every 2 months. We wouldn’t tolerate this in any other area of preventable harm. In the UK, 34,000 are killed due to human error. In aviation, independent investigators immediately find out what went wrong, how to fix it and then share that openly with the world. Every pilot has access to the data. Syed says soon we won't need black box as all the info will have been already transmitted to a central database while the accident is happening. Sullenberger, who landed the plane in the Hudson River (while I was living in just up the road in New York, incidentally) credited all the lessons learnt from aviation deaths to his safe landing. The Toyota Production System (TPS) was put in place so if anyone on the car production line had a problem, they pull a cord which halts production. The error is assessed, lessons learnt and the system adapted. Try putting that into health service where mistakes are frowned upon & people are too scared to report their seniors, which is why the preventable death in the opening paragraph occurred. A healthcare organisation in America, Virginia Mason tried to put into place Patient Safety Alerts in 2002 but no one would report the errors. After the next death, their boss issued a public, heartfelt apology. Complaints started coming in and it’s now one of the safest hospitals in the world and they saved 75% in insurance premiums too. Pronovost (who wrote Safe Patients, Smart Hospitals) instituted 5 point check list and saved 1500 lives. Plus c $100m over 18 months in Michigan. To really bring it home, I learn it took 264 years to put a preventative measure for scurvy in place. So that others may learn, and even more may live - Martin Bromiley, husband of Elaine and campaigner. I don’t read many business books. In fact, I don’t read any these days. I stopped that habit long ago as I didn’t learn anything new to what Dale Carnegie taught me three decades ago. (His ‘How to Win Friends… is still the best and read again every few years). My regular reader will know I have read my fair share of sports biographies as I relate the ‘being the best I can be’ attitude these people tend to have in order to be at the top of their game. So Sir Alex Ferguson sits way up above those at the top of their game. As I learnt from a Sue Barker wall chart as a child, we can never rely on our opponent to make mistakes in order to win. SAF says the way to win is by attacking and over-running the opposing side. On research: time spent in research is never wasted. On networking: You have to make everyone feel at home, and that they belong. He’s been influenced by Marks & Spencer, who decades ago in harder times, gave their staff free lunches because some of them were skipping lunch to save money and help their families. On failing: The only time to give up is when you are dead – already a favourite and chimes with my ‘I’ll sleep when I’m dead’ Bon Jovi mantra. You don't have to love the team, you have to respect individuals abilities. We had a virus that infected everyone. It’s called winning. On confidentiality: he has a small group of confidents, because it takes years to build these relationships. SAF calls it the ‘inner circle too’. I have an inner–circle – will drop everything and do anything for me and the outer-circle – the same but more build of business friends. He quotes his father ‘you only need six people to carry your coffin’. The great leader will embrace audacity and the unthinkable, will not shirk from making controversial and unpopular decisions, and will have unshakeable confidence in his convictions. He will understand that others in the organisation capable of doing things that he himself cannot do or would not do as well. He will derive more satisfaction from the achievements of his organisation than from his own accomplishments, will not demand outlandish compensation for himself, will treat the organisation’s, money as it were his own and will have no particular need to be singled out by the spotlight. He will probably watch and listen more than he talks, will not radiate anxiety when the chips are down, will have a keen understanding of what he doesn’t know and a fetching sense of humility. If he does his job well, people will see him as being tough but fair. He will definitely not feel the need to be universally loved. If you know any manager working in your local council with the above attributes, can you introduce them to me please? Moritz writes about SAF knowing how to extract the extra 5% - the difference between silver and gold. I could have copied all 38 pages of the epilogue here as it’s the most excellent summary of leadership I have seen. He final point from Moritz: great leaders are competing – not with others – but with the idea of perfection itself. For them, greatness is just never good enough. I am a big fan of easing gently into the day with some simple tasks first. It is more satisfying though to complete something vital that sets up a great day. Eat breakfast after you’ve completed your first task. If you really need breakfast before you open your laptop, how about rewarding yourself with coffee after you’ve hit the first big task, or splitting the most important meal of the day into two halves, before and after the mission is accomplished? To focus on the task in hand without interruptions, laptop and phone notifications are turned off. They are only switched on when waiting for an important communication. Otherwise focussed people concentrate on the task in hand and respond to messages two or three times a day, morning, noon and night. Focussed people like to see what smaller tasks they need to undertake each day so they can succeed in achieving their larger goals. Use something like the 1-3-5 method (1 large, 3 medium, 5 small tasks every day) to stay focussed. Before any of this, they check on their goals for the month (or the week, quarter). They add something to their task list, no matter how small, that will get them closer to achieving major goals. You can hit a target you can see! Do contact me to let me know what you do first thing to stay focussed on @RickieWrites or please email me. The view during lunch in Vancouver from Sylvia's Hotel looking across English Bay. It's fast becoming my favourite spot! I recall the time when the reason worked long hours was because I had to. Cut forward ten years and now I happily don't have to work every waking hour, but I want to! Now I have to force myself to step away from my laptop as I have too many ideas I want to put into practice. I need to give my body and brain a break! Ideas. I know I say I have too many ideas but sometimes, going away just means clearing my head of old ideas to make way for new ones. Every two months, I take myself away somewhere. That will be a trip abroad, a short UK break or occasionally, just a day out to another city. I still work but it's more about plotting and planning rather than regular activities. Refresh. For this, I need an actual holiday and I do this at least 2-3 times year. For my birthday, my tradition is to wake up in a new city and I never work on my day! I may do bits around the big day but the out-off-office is definitely on for this one. It's when I take a proper holiday, even for 4 or 5 days, that I return most inspired and looking forward to getting home. Family time. Christmas, in fact the whole of December is for family and friends. Traditionally this is because like August, December is a quiet month for business. Although in today's 24/7 culture that's no longer strictly true, I try and have less commitments during this wonderful month so I can catch up with as many people as I can. Then I go away for Christmas abroad plus a whole week away and I'm ready for a fabulous new year! Productivity. Yes sometimes I just need to get away from my regular home and coffee shop work environment and have a different view out of the window. It's kind of a break but I get lots done without any meetings, consultancy or training sessions and I do this every bank holiday. So despite having just come back from a holiday in Prague last summer, I headed out to Edinburgh for the August bank holiday with a list of things I want to do, albeit with a different view!